Freezeframe Flash White 30ml is 5 second brightening and radiance gel with concentrated brightening beads for your fairest, most radiant complexion in an instant. 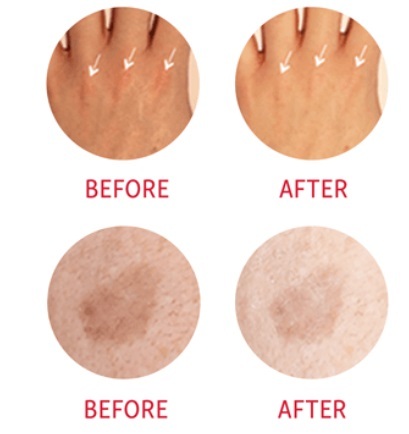 It is a unique concept in instant radiance which gives you a brighter, more even skin tone in just 5 seconds. Concentrated brightening beads help to create a skin perfecting white filter for your fairest, most radiant complexion ever. Flash white is a clear gel serum and it is speckled with concentrated brightening beads which work their brightening, skin perfecting magic when blended into skin. Within 5 seconds, it will create a white filter effect on your skin for instantly fairer, more radiant and unified skin. It helps to reduce redness and shine and imperfections are blurred. Skin is left smooth, and velvety. Flash white is clinically proven to significantly lighten skin colour immediately upon application, with results lasting all day long. It is also proven to give you a more even skin appearance, reduce dark spots and reduce redness and shine. It is an all round skin perfector which also smooths, fills and blurs skin, reducing the appearance of both enlarged pores and wrinkles. It also contains Niacinimaide, Lemon Fruit and Vitamin C rich Cucumber Extract which all work together to brighten skin appearance over time, reduce and prevent the appearance of pigmentation, visually even out skin and reduce skin darkening and discoloration. This high tech complex has been shown to be as effective as hydroquinone, without the side effects. It also has none of the negative side effects associated with nicotinimide such as flushing or redness, so you can be sure of a clear, bright complexion. Apply a small amount, spreading to form an even cover across the skin surface, without rubbing in completely. Purified Aqua (Water), Niacinamide, Mannitol, Cellulose, CI 77891 (US: Titanium Dioxide) Citrus Limon (Lemon) Fruit Extract, Cucumis Sativus (Cucumber) Fruit Extract, Hydrogenated Castor Oil, Glyceryl Stearate Citrate, Decyl Glucoside, Hydroxypropyl Methylcellulose, Glycerin, Caprylyl Glycol & Phenoxyethanol, Sodium Hyaluronate, Acrylates/c10-30 Alkyl Acrylate Crosspolymer, Sodium Hydroxide.